Barry Isaacs is passionate about trees. When he bought his house on South Randolph Street in 1985, he committed to ensuring the property’s landscaping—anywhere from 150 to 200 trees—was maintained at the highest level. 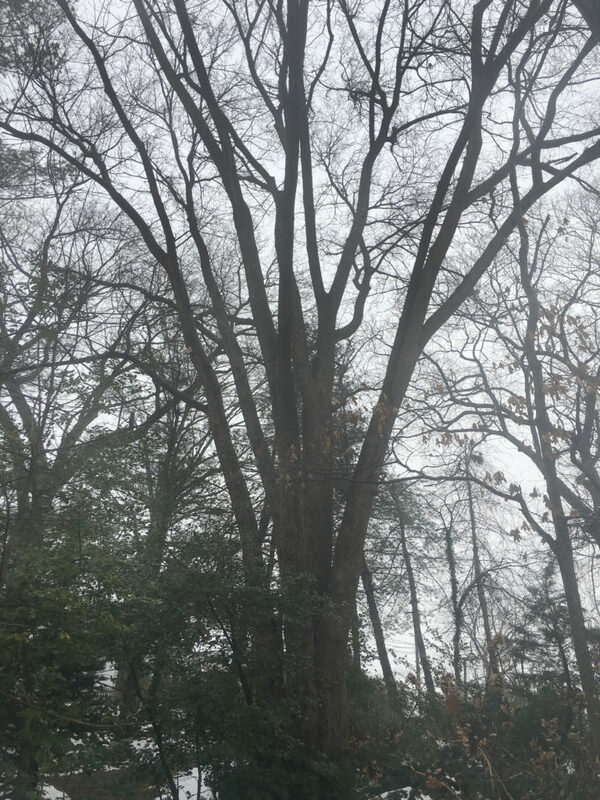 Now his American elm has become the first elm tree to be named a specimen tree in Arlington County. The Arlington County Board approved the designation during its Jan. 26 meeting. 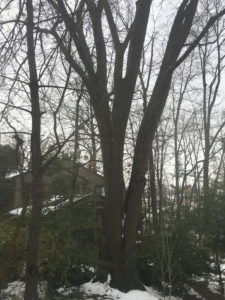 “The idea of having the County acknowledge that this is a very special tree is something that I thought was worthwhile doing,” Isaacs said, noting that while he doesn’t plan to leave his property, the designation would protect the tree and its large root system should the properties around his be redeveloped. 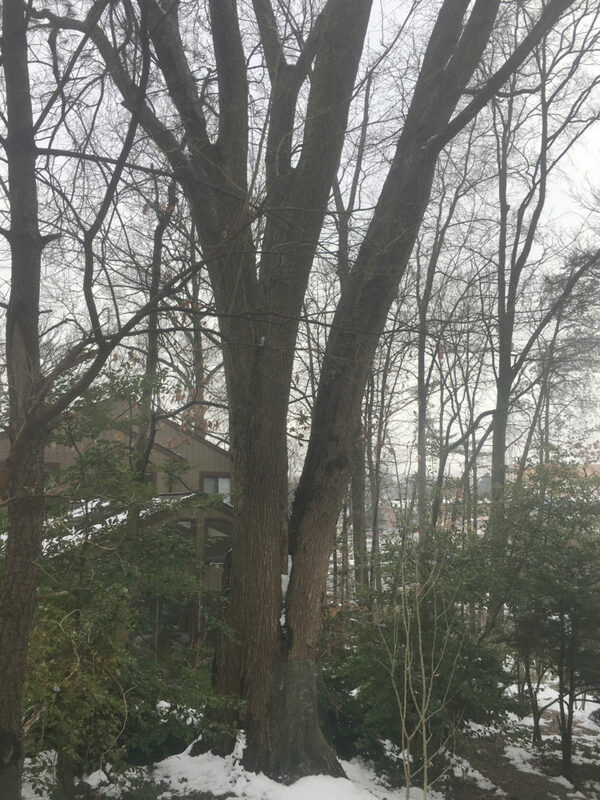 The County adopted the Tree Preservation Ordinance in 2002 to protect mature trees from removal or injury. Since then, 26 trees have been designated as specimen trees, including 16 trees nominated by private property owners. Isaacs’ elm brings the total to 27. 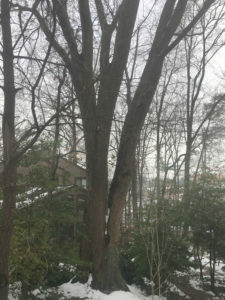 A specimen tree is defined as “any tree that has been individually designated by the County Board to be notable by virtue of its outstanding size and quality for its particular species.” Isaacs’ tree is 78 feet tall with a circumference of nearly 149 inches and a crown spread more than 55 feet. 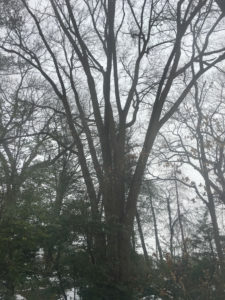 Elms as large as Isaacs’ are uncommon because of Dutch elm disease, which is estimated to have killed more than 75 percent of American elms by 1989. To ensure his tree would continue to grow and flourish, Isaacs has had it inoculated every other year for 30 years. To view all of Arlington’s specimen trees or learn more about the Tree Preservation Ordinance, go to environment.arlingtonva.us/trees/support-trees/specimen-trees/. The County Board directed the County Manager to rescind Residential Permit Parking restrictions on some streets in Arlington Mill/Forest Glen.